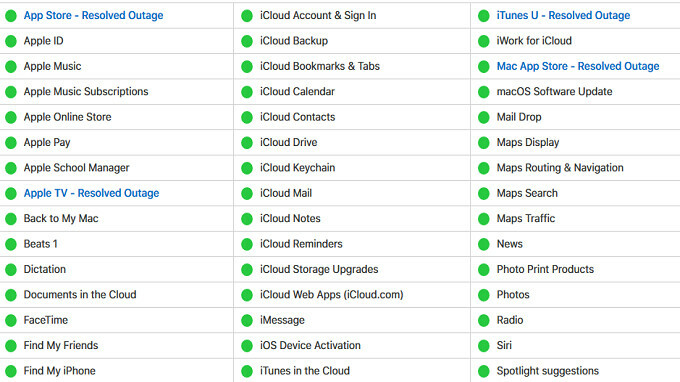 Apple iPhone and iPad users were frustrated for parts of the afternoon today, as the Apple App Store went down. Note that this shouldn't be confused with the Apple Store, which was shut down earlier this morning prior to the introduction of the new 9.7-inch Apple iPad (2018) with Apple Pencil support. It has become a tradition for Apple to take down the Apple Store prior to a new product announcement. The good news is that the outage has ended, according to Apple's own system status. The site shows that the App Store was down from 3:04pm EST to 4:49pm. According to Apple, "Some users were affected. Users were unable to sign in to multiple stores/services or make purchases." If you're still having an issue with any of the above, or suffered along with everyone else this afternoon, drop us a comment in the box below. What're you going on about? Apple is kidding me with this “App Store was down from 3:04pm EST to 4:49pm”? For me App Store has been down over 12hours or even more, haven’t checked as was sleeping during the night, but whole working day it was down.